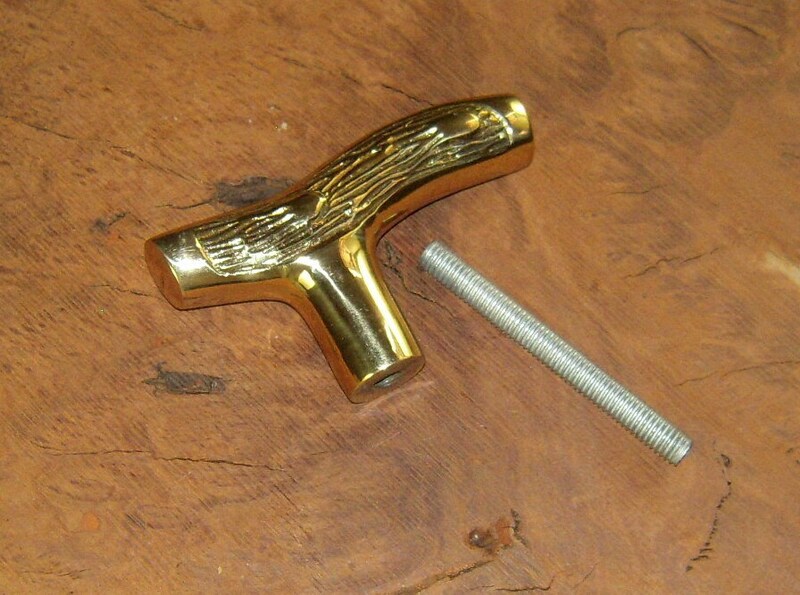 NOTE: I now have TWO different Fritz Brass Cane handles from two different manufacturers...They have small differences......if you need help please ask before you buy !! 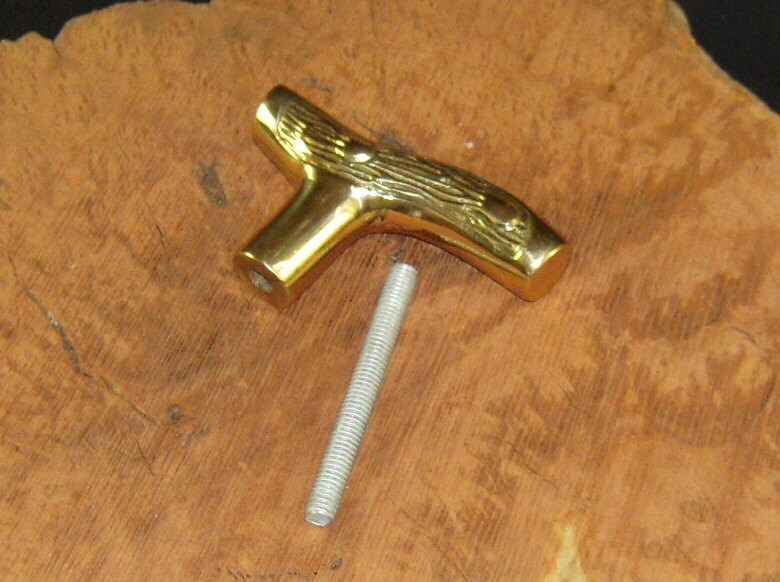 This Smaller Brass Fritz Cane Handle is 4 1/4" long by 2" high and about 7/8" in diameter. 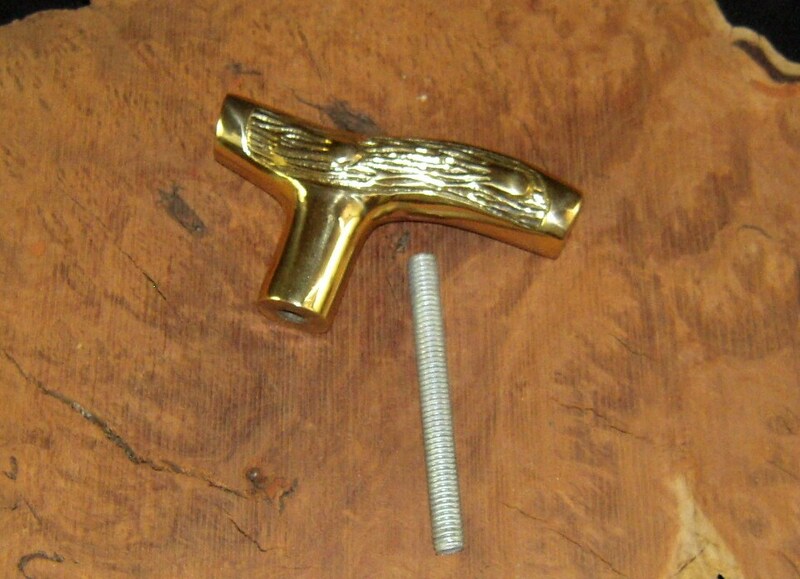 The handle is tapped to fit a 3/8" x 16 threaded rod (a 3 1/2" Threaded Rod is also provided) which can be seen in the pictures. The buyer must provide a strong shaft about 7/8" to 1" in diameter and be able to drill a 5/16" hole down the center of the top portion of the shaft. This 5/16" hole is then tapped with a 3/8" x 16 tap to a depth deeper then the threaded rod. 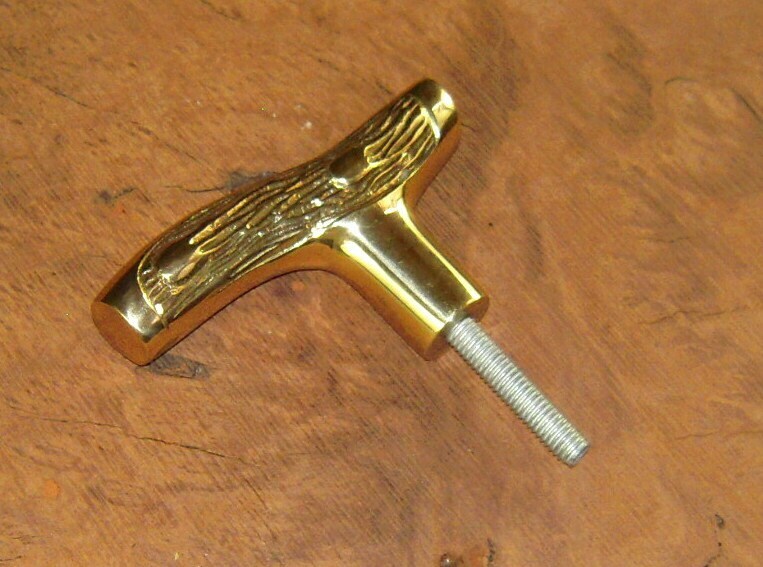 The base of the brass handle where it meets your cane shaft is about 7/8" in diameter. 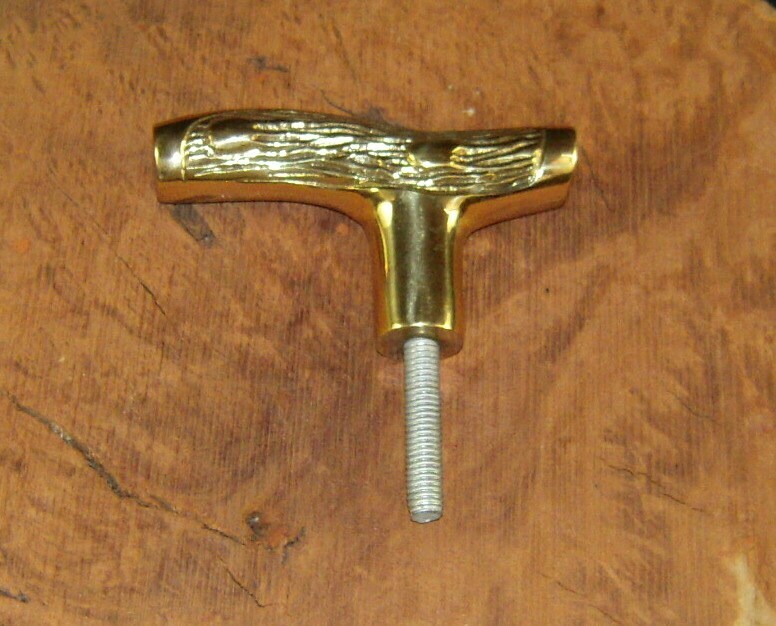 You get 1 Smaller Brass Fritz handle with this listing ! !